We live in a digital time! People used to keep all information in digital format. Sometimes we enter data in the special database or as a scan copy archive. Humans realized that paper is not a very safe way of keeping information. Especially it works for the areas with frequent natural disasters such as floods, earthquakes, hurricanes or tornadoes. Moreover, within one single year, large companies can keep tons of paper. So, we really can use it more effectively than just gathering dust and occupying office space. Moreover, the last one is rather expensive nowadays. We have to take into account that all paper archives of previous years should be transferred into digital format. So, we can only imagine how demanded Outsource Data Entry and Database Administration specialists are at present. It may seem that this profession does not require any specials skills or education. Actually, it is not true. A data entry and database administration experts may not have a master’s degree but he or she should be a specialist in a certain field. There is an old saying that all of us still remember. “A specialist is a person who knows little about more and more, an expert is the one who knows more and more about little”. Here the employers require experts as well. As database operators and administrators they are not supposed to give any consultations or make prescriptions. We require someone who is able not to mix looking similar terms from different fields. The business owner expects to see a person who has some knowledge of the subject the database refers. Workers will need it in order to understand if a document has a mistake or lacks some important information. At the same time, they should have some personal qualities and skills that are necessary for completing tasks successfully. Attentiveness and accuracy are of major importance. As operators and administrators deal mainly with documents in handwriting no computer software can help here. In this case, only human eyes and mind have such ability for adaptation and distinguishing. Such work may seem boring, not intersecting, may not provide some career perspectives or high salary. But at the same time, this position has a number of advantages for employers and employees– you can do this work from a remote office or even from employees’ homes. For huge companies with a large number of employees and services, the remote service assistance would be a great problem-solving solution. 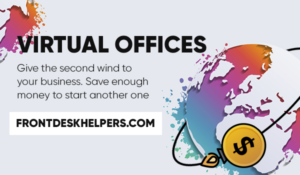 Frontdeskhelpers.com is a remote service provider that will help to avoid extra expenses for salaries, taxes and office expenditures. The database entry or administration jobs can be done now remotely! On the other hand, such a position may give an opportunity to socialize people with limited abilities. Even young mothers who take care of their children can work now at the same time, creating a flexible schedule. As a data entry specialists or database administrators, our experts are able to update and maintain information on computer systems and in archives. This is a part of their daily duties. It’s an important role because a piece of information in these systems is only valuable if it is accurate, up to date and useable. Our operators very often deal with medical, social, or commercial information. They are very familiar with all the details in these areas. They are good in both with text-based or numerical. For this kind of job, you may attract the employees from countries where such information makes no sense and gives little chances for a scam. It will be an extra step for securing confidentiality of some special information. It is a way to reduce expenses for data entry service as well, which is rather expensive today. Before starting collaboration companies may clarify all the moments in the confidentiality agreement. As a service provider, we will suggest possible operators for you to choose from. We can also discuss the possibility to get special training or courses for the specialists you choose. It works in those cases when your activity area requires it. All of our remote staff have the required professional skills. They are attentive, accurate and can differentiate the confidential character of information. The other additional qualities, including good communications skills and telephone manner, are must be as well. As an outsourcing data entry service provider, we understand the confidentiality of data that companies are operating with. The information has to be always accurate and efficient in order to execute transactions and make correct decisions. We also realize that there is an increasing need for better customer support quality, offered along with a competitive cost advantage support. Do not hesitate and order our quick, efficient and cost-effective Data Entry and Database Administration services. You lose nothing! 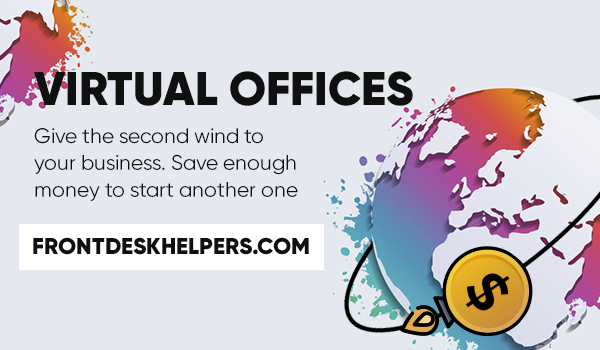 Go to Frontdeskhelpers.com for more information.